Library still uses World War II blackout blinds. of the Main Reading Room in Andrew Carnegie Free Library were specifically acquired, by the library, to be used to conceal or “Black-Out” Library lights during air raid drills, conducted during World War II. 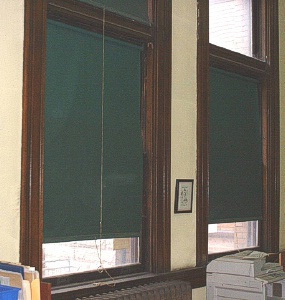 These particular blinds were originally used in the Children’s Room.